Investing in a 60,000 square foot state-of-the-art service department with 35 service bays means we can cater to anything from a subcompact car to a highway tractor or a 45-foot motor home. If it’s on four-wheels, our highly-trained and experienced technicians will be able to offer the uppermost standards of service. And with a 15,000 square foot parts department carrying around $850,000 of quick moving Ford OEM parts, you’ll never have to wait around for your car to be serviced. If you do, just take some time to recline and relax in our customer lounge, or take a closer look at the cars in our showroom. Drivers from across Saskatchewan have one thing in common—they head straight to Capital Ford Lincoln whenever an automotive need arises. We have models from two of the most popular manufacturers around. No one can top our range of new, used, and certified pre-owned models. Plus, we have a 60,000 square foot service department with factory-certified technicians. That means that you’ll always know where to come to keep your vehicle running in peak condition. The newest range of Ford and Lincoln models can be found in the showroom at Capital Ford Lincoln. We have something for every driver; from the feisty Ford Focus to the refined and athletic Ford Edge, or the compact Ford Escape to the rugged Ford F-150. If you can’t come to us to test drive your chosen model, we’ll bring the vehicle to you. When you drop by our showroom, our sales staff will do everything to find the model to meet your needs. They work on a salary, not a commission, so they’ll never be working for anyone’s interests but yours. Capital Ford Lincoln makes financing easy, even if you’re new to the country or were previously turned down. We pride ourselves on our ability to find a loan or lease package that perfectly fits into your life. All you need to do is fill out our free online financing application or contact one of our friendly and experienced financial experts directly. 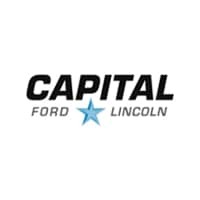 There’s more than one reason that drivers from all over head to Capital Ford Lincoln instead of their nearest auto shop or dealership. To experience our quality service and selection for yourself, just come down today or contact one of our team members. ✅Leave a comment - Tag a friend! I'd love to plant some flowers! !❤⚘ Thank you for this awesome contest and chance to brighten up my place!! Liked and shared, thanks for the chance! Lots to do at our new house.. maybe some new soil and flowers! Flower pots for the front yard and deck. Also bedding plants. I could use anything for spring! bbq, flowers, lawn mower and patio table and chairs  thx for the chance to win! Trish Comba liked and shared! this would be so great for my mother’s garden thank you! I need an outdoor patio set to enjoy on our new deck. I'm doing patio work in my backyard this year so flower pots, flowers or maybe some new lawn chairs to complement my work. This would be great for our back yard Reno’s! New rototiller for my garden would be a blessing! 鹿 FLOWERS and lots of them! This trade-in vehicle is perfect for your summer road trips! Capital Ford Lincoln shared a post. Kevin Orthner 落a stellar dude!